The star KIC 8462852 rose to fame this year when astronomers discovered that its light occasionally dimmed in a really weird way. At the time, no one explanation could describe the star’s odd “light curve”. Several possibilities for causing this were proposed – even including the potential of an alien megastructure around the star, blocking the light. 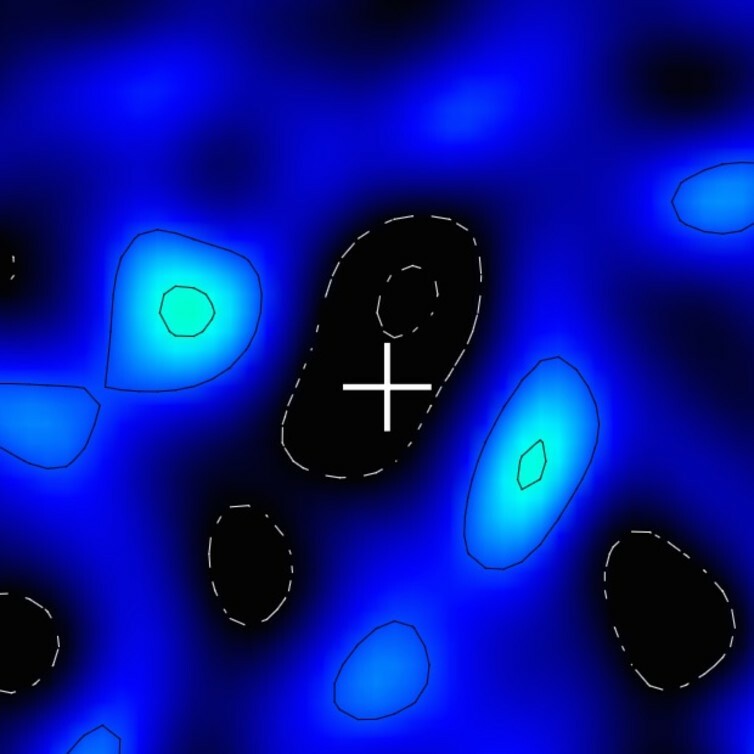 With our latest observations of the star, submitted to the Monthly Notices of the Royal Astronomical Society, we show that the most promising explanation is that the starlight is being obscured by the remnants of a family of smashed-up comets. A cloud of dusty debris, circling the star on an eccentric orbit, would block out some of the light when it crosses our line of sight. This scenario is now supported by many astronomers. I’d be delighted if the Kepler space telescope has discovered a civilisation in our galaxy that has built a gigantic artificial structure – such as a Dyson Sphere – to harvest the energy of their sun. In fact, I’m sure that advanced space-faring societies do exist in the Milky Way. However, part of being a good scientist is to be a good sceptic. To infer the presence of an alien megastructure requires a lot of assumptions. One of the key things we need to know about the KIC 8462852 system is the amount of emission at long wavelengths of light – particularly the sub-millimetre and millimetre part of the electromagnetic spectrum. This light would be a signature of dust around the star, glowing when heated by starlight. In astronomical terms, dust refers to particles or small grains composed mainly of carbon and silicon. This material is formed within stars and dispersed into interstellar space when they die. Along with other heavy elements it forms the basis of new solar systems. We owe the existence of Earth to such material. To carry out the analysis we used data from the Submillimeter Array and the James Clerk Maxwell Telescope. We did not detect any millimetre or sub-millimetre emission at all around the star. This does not mean that there is no dust, but it allows us to place sensitive upper limits on how much dust is present. In the inner solar system, within a radius of about 2-8 AU (1 AU is the average Sun-Earth distance), we estimated that there must be less dust than a few millionths of the Earth’s mass. This helped us eliminate one theory about what’s causing the dimming: a huge cloud of debris from the collision of two or more planets that is now orbiting the star – there’s simply not enough dust present to support that idea. However, analysis of the light curve suggested that just a billionth of an Earth-mass of dust could explain the dimming, provided that the dust is on the correct orbit around the star. This rather small amount of dust was not ruled out by our observations, and we estimated that the complete disintegration of the equivalent of about 30 Halley’s Comets on highly elliptical orbits between 0.1 and 26 AU could explain the dimming of the starlight. At the moment, this is the best bet to explain KIC 8462852’s weird light curve, and is supported by other data too. Can we rule out aliens? A Dyson-like structure would be expected to glow infrared at shorter wavelengths than the long wavelengths we observed. This is because its temperature would be fairly hot in comparison to the temperature of the dust. 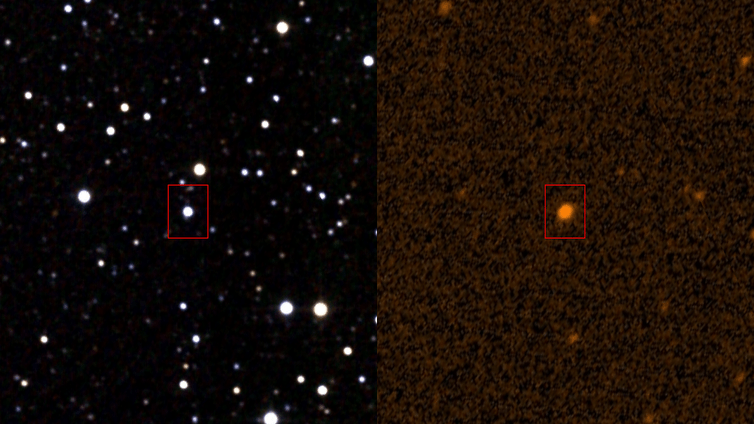 In fact, no Dyson-like infrared signature from KIC 8462852 has been detected in other data. Also, assuming some sort of radiation-harvesting megastructure was located in the inner solar system, the construction process would presumably generate a fair amount of dusty debris, since it would require extensive mining of a large number of asteroids and small planets. Considering the very low mass of dust present within 8 AU of the star constrained by our observations, it seems unlikely. So, if a megastructure does exist around this star, the civilisation that made it is incredibly tidy. Oh, and there’s something else. As often happens in science, our measurements may have accidentally led us to another discovery. The observation happened to cover another star, called TYC 3162-977-1. Straddling its position are two bright sources of sub-millimetre light that we believe might be a dusty debris disc – a flattened, rotating, dusty environment around a star from which planets form. We calculated that the chance of finding such an alignment by chance is less than 0.6%. We know of lots of debris discs, but what makes this one interesting is its size. The distance to the star is something between 200 and 650 light years. This means that the size of this debris disc is something like 1000 AU. This would make it the largest such disc ever discovered … watch this space.